The origin of the rèsumè dates back to Leonardo da Vinci in the 1400s and has dramatically evolved over the last 600 years. Once a casual option, they are now a must-have when applying for any job and need to be updated constantly as well as tailored to the job being applied for. Building the rèsumè is the first step to landing that perfect job - whether it is in the pharmacy industry or somewhere else. You want a rèsumè that is professional yet stands out against the others. Having an outdated but current rèsumè gets the information across, but may send the message that you are not paying attention to the current industry expectations and demands. Social media links are considered acceptable on rèsumès now (if appropriate). Potential employers search social media profiles more often than you may think - clean your profile up. A good rule of thumb: if you aren't comfortable with your grandmother reading it or seeing it, take it off! Students looking to land a job in or right after high school can include things such as clubs/organizations - this shows your dedication and involvement. Students looking to land a job after college should remove any high school era references (don't include those babysitting duties or that you were the Spanish Club President). College organizations, fraternities/sororities, or jobs related to the career you are looking for are the ones you should include. Part time jobs in high school or college are acceptable. Education and any certifications should be listed as well. Acronyms after your name at the top should be spelled out in this section. If Jane Doe is a Certified Pharmacy Technician, she would write "Jane Doe, CPhT" at the top of her rèsumè, but under the "Certifications" section write "Certified Pharmacy Technician", the certifying agency (National Healthcareer Association or Pharmacy Technician Certification Board) and the year certified. Times New Roman (or any serif font) is a tired font; use a font like Arial, Calibri, Tacoma, or Verdana. Don't make the font too big or too small to read. 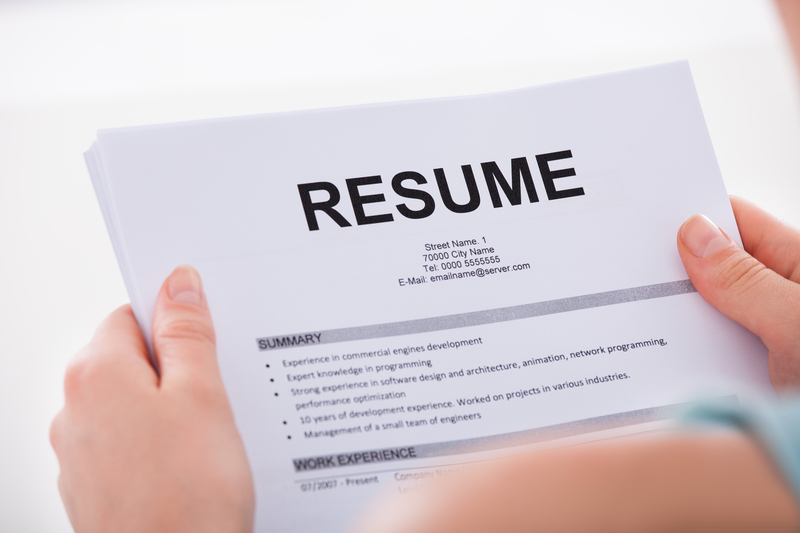 The length of your rèsumè will depend of your amount of experience. If you are in the first 5 years post degree/certification, then it will probably be around a page long. Soon you'll gain enough experience to hit that second page. How you present these items is one of the things that will take your rèsumè from good to great. Little things like font and format consistency will show your potential employer how detail oriented you are.